If you want to reuse any slides that are available in existing lessons, access them from the PLUS icon on the bottom left corner of the Editor’s view. Hover with your mouse until the additional features appear. 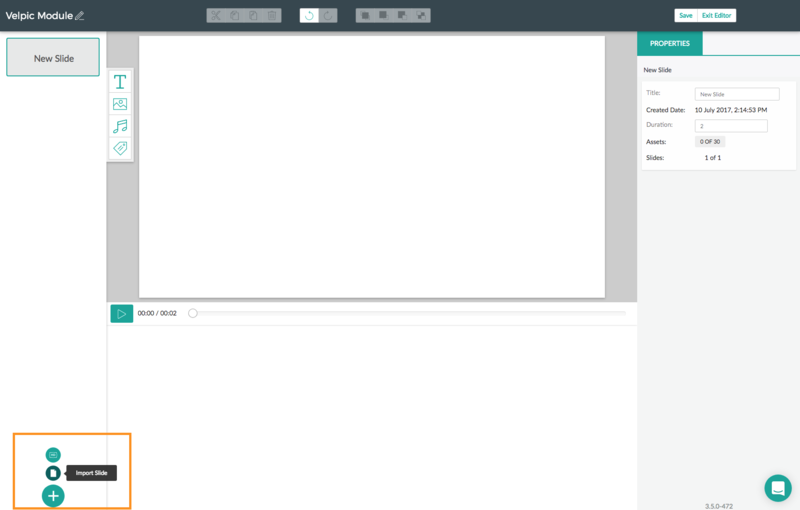 To navigate to the slide you want, select the lesson and module to display its slides. 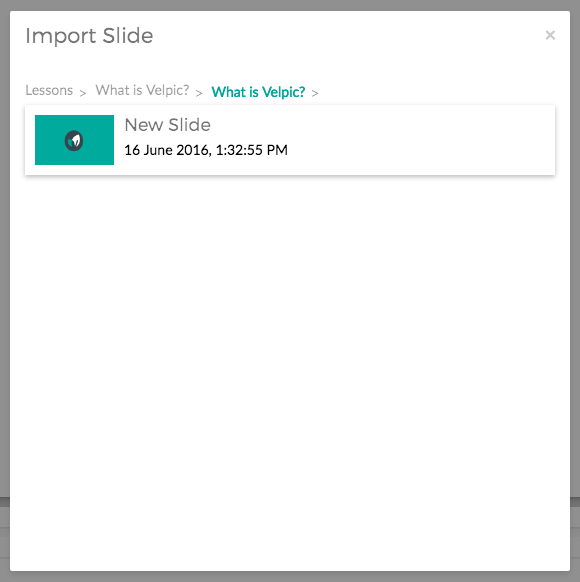 To add the slide to your video, click on it once and it is added to your Slides canvas. To navigate back to the Library’s Lesson view, click outside the Import Slide box.